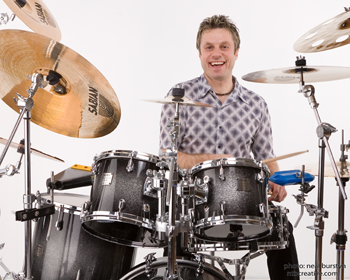 Jeff Salem is an internationally recognized drummer based in Toronto, Canada, who has performed in over 70 countries. His professional career started in his late teens performing and recording with well known rock bands such as Fist (A&M), Sword (Aquarius), Saints & Sinners (Savage/BMG), Lee Aaron (Attic), Randy Bachman, Robben Ford, Coop-De-Ville, Kalan Porter (Canadian Idol Winner 2004), and many other artists. He has also performed with the following smooth jazz artists Paul Brown, Jessy J, Rob Tardik, Eddie Bullen, Jack Prybylski and Carson Freeman. Jeff is actively involved with music education in many school boards performing percussion workshops and clinics to students of all grades. He has become a public motivational speaker, motivating students to learn a musical instrument. His program is titled "Music is my Passion" He has delivered this performance to over 500 schools in the past 15 years. 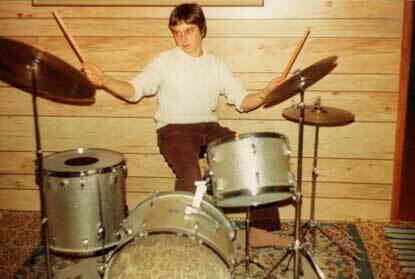 Mr. Salem at 14, Nice Socks Jeff! Jeff is also the creator and founder of the group "ENVIRO DRUM" This band creates percussion music with recyclable products similar to the group STOMP. Enviro Drum has been performing concerts at many schools. Jeff has performed at many music trade shows including the NAMM show both in Anaheim, CA and Nashville, TN., the Musicmesse in Frankfurt, Germany, Music West in Vancouver, BC, Cape Breton International Drumfest in Sydney Nova Scotia, OMEA, Arts Alive, Guitar Workshop Plus, The Collective in NYC and Canadian Music Week in Toronto, ON. 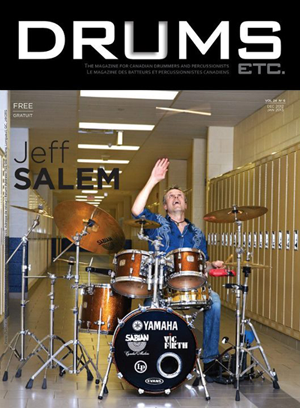 Jeff Salem is a freelance writer for the magazines Canadian Musician and Modern Drummer. He also maintains a large roster of students for private instruction at his teaching studio in Brampton, ON at J.S Music Studio. Jeff Salem is endorsed by Yamaha Drums, Sabian Cymbals, Vic Firth drum sticks, Evans Drumheads, L.P. (Latin Percussion and HQ Percussion (Real Feel Pads).